Ever since X-Men 3, I don’t think I’ve been more excited about a film coming out. 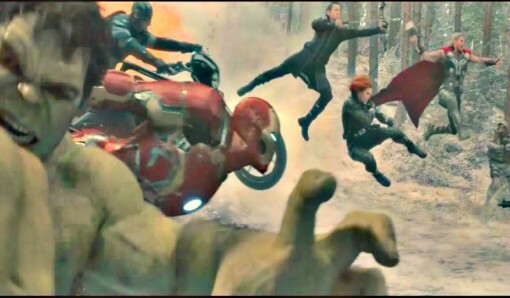 Unlike the X-Men film franchise, I am rarely disappointed by any of the Avengers-related films, so I don’t hold back my expectations for Avengers 2: Age of Ultron. I am as excited about the film as I am about how they’ll develop the story lines that will follow. The second edition of the Avengers is critical to two major story arcs: the upcoming “Civil War” and continuing the “Infinity Gauntlet” storyline. Both of these were huge in the Marvel comic books and make up the thread that will weave throughout Marvel’s Phase 3 of films. What happens in this film will have significant impact on future film franchises: Captain America, Iron Man, Thor and even Guardians of the Galaxy, as well as for films that haven’t happened yet: Ant Man, Doctor Strange, The Inhumans and The Black Panther. I can’t wait to see how Joss Whedon and company weaves those pieces into The Age of Ultron.